Outside the Grand Sahil Casino of the Free City of Amnoon is the Grand Bazzar. On a normal day it sold ordinary supplies for the cities citizens, that is until The Brandstorm struck the city and decimated the marketplace. 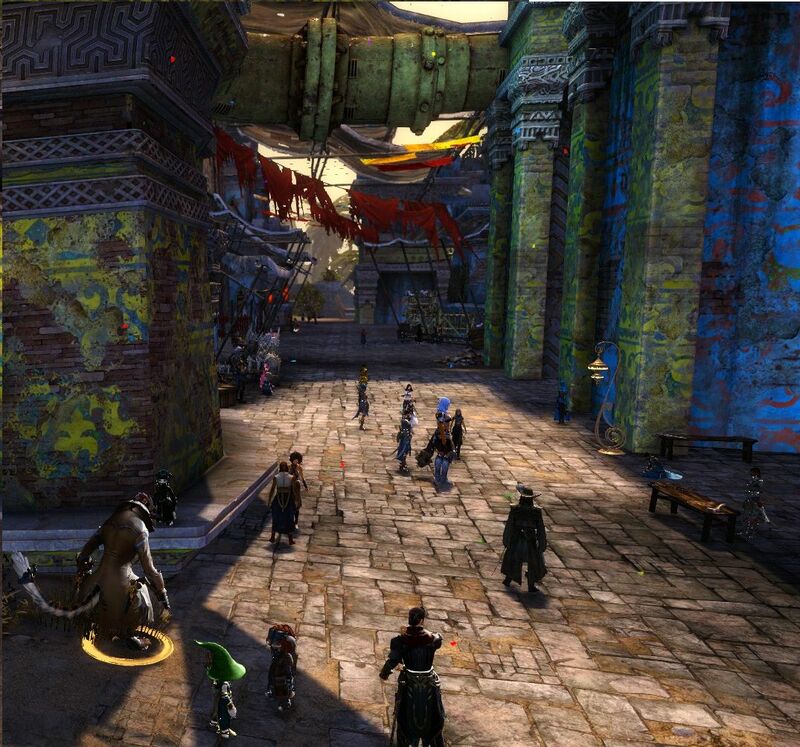 Since the reclamation of the city by the free citizens of Amnoon, The Bazaar has begun to be repaired and rebuilt. An anonymous patron has generously covered the cost of it being prepared to once more provide the best prices, and drive the hardest bargains on goods of all kinds, mundane and exotic alike. But now the city seeks new people to come sell their wares, not just natives, but outlanders too. What is the Grand Bazaar? 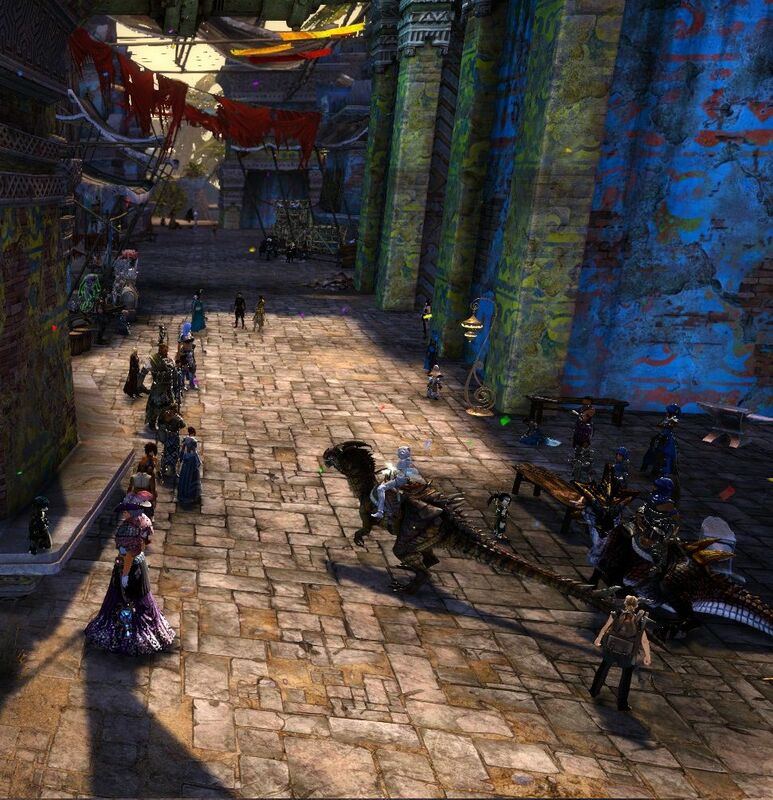 The Grand Bazaar is a recurring market event, located in the free city of Amnoon in the Crystal Oasis. It is a place where people from far and wide come to sell their wares and advertise their services in a lively RP atmosphere! This is an all day event where Rpers can gather around and trade their wares and hang out. The event will have an official start time of 7PM. However much like a real market, merchants show up at different times to set up their booths, and so are encouraged (if they have the time) to set up shop as early in the day as they please to kickstart RP. Where: OOC Windswept haven, IC Amnoon. Finish time: Whenever the RP dies down. I humbly ask that you to let me know if you want to participate as more than a regular visitor. Please drop a message here in this thread OR send it to me directly in game (Goinglopsided.7380), a brief note on who your character is and what he/she/it will be doing. So how did your character hear of the event? Either through word of mouth or by seeing one of the below posters plastered around the various major cities. How to get there? 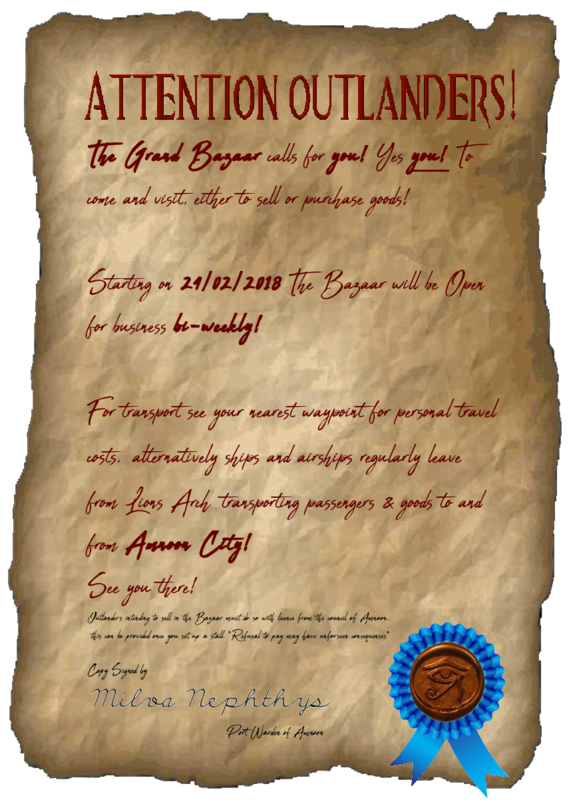 If you're a merchant, likely by airship or boat. If you're simply there to shop, Amnoons Waypoint was recently opened by the Exemplar Krewe. NOTE: Offering/Selling services will include an IC Tax where outlander characters will be asked to pay for a permit to trade. These can be obtained on arrival from the market management office. Note: I will refresh this list after every market, requesting affirmations again for the next one. Comment below and let me know what sort of role your character would fit in and I will update the above list and keep you updated as the event comes to fruition. Additionally if you would like to RP your character getting IC permission to set up their stalls, that can also be arranged. If you're not sure about commiting, don't worry! You can also show up on the day unannounced to set up your stall, though the permit to trade may be more costly for those who do not announce their arrival in advance! This post will be updated every other day as more people sign on to participate. Contact: Goinglopsided.7380 on the day and I'll invite you to the party! Bumpity bump, the Grand Bazaar is this weekend! 12 noon soft start. 7PM official! This event is now starting! Updated and simplified list for the next one! PM me here or in game (Goinglopsided.7380) If you want to be added onto the market list for the next one! This is on right now! Another great event, thank you for coming everyone! Thread is updated for the next markets date! Adir Sidafi would like to participate in the next bazaar, to sell raptor meat, leather, and riding mounts from his ranch.